For some time (about a month give or take) the Network Preferences pane in System Preferences has been freezing every time I open it. Wi-Fi works fine and I can connect using the menubar icon, but I can't change anything in the Network preference pane. System Preferences also works fine, except for the Network preference pane. When I open the Network preferences pane, the app freezes and starts eating up system resources. I've used the Tracking-blocker Disconnects Mac App since August, but even with the service turned off and the program not running, the Network preference pane still freezes. Updates: 1 | I've tried booting into Safe Mode which hasn't solved the problem. 2 | I've done a hardware test, which produced no errors and didn't solve the problem. 3 | I've done a SMC reset which hasn't solved the problem. 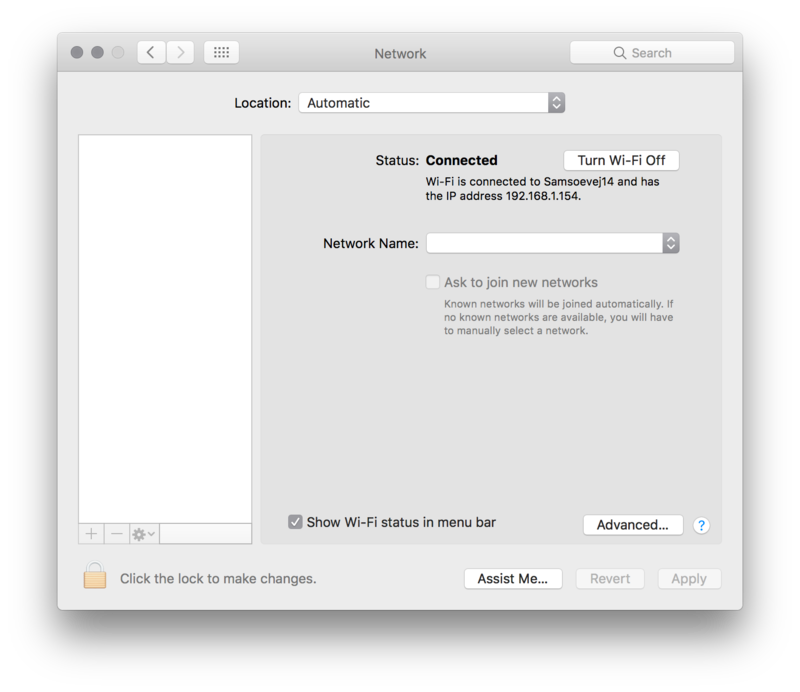 Browse other questions tagged macos network wifi hang system-prefs . Why does Lion mount a network volume twice at login? How to track down why Wi-Fi random disconnects on one particular network?